What the Pew Poll on Catholics can tell us about Muslims. This week, yet another Survey came out showing that most who identify as “Catholic” are not,morally. Whatever happened to Catholics needing to “believe all the Church believes and teaches”? Where would we be if the priest who gave Dietrich Von Hildebrand instruction hadn’t required him to accept everything? So, when the media, politicians and even well meaning Catholics insist “Islam is a religion of peace, the majority of Muslims are peaceful,” I don’t buy it. Muslims do the same to their impalers? No, they honor them as caliphs because they follow in the footsteps of Mohammed. That is the difference. Even when we honor those who’ve fought in just wars as Saints, it’s usually for what happened after more than before. Yet why, in Islam or Christianity, does society point to the majorit’s beliefs and actions to represent the religion? As Fr. Dubay put it, you don’t judge a belief system by those who do it badly. You judge it by its heroes who best e employ its teachings. But, still, even if you set aside questions of the moral and psychological dangers, bullying, peer pressure, subversive agendas, disputes about curriculum or teaching models, ability of the school to accommodate learning or physical disabilities, and so forth, those two years, and the continuing aftermath, have highlighted a dilemma that troubled me my whole life. My children’s generous uncles and aunts, starting with the Wii that I expected to be a one-time capitulation, have given them a steady stream of video game systems, so each of them now has at least one DS-whatever, and they’re constantly talking about the next thing they want. I recall when I was laying in the hospital two years ago, watching my daughter play her DS, and thinking–whether I was actually hearing this or hallucinating, I may never know–the nurses, the hospital patieht rep, and others complaining about my kids having so many video games when we always say we’re struggling financially. We are, and we’ve purchased very few of the games they have, and of course games have horrible resale value. The point is that they’ve been roped into a materialistic cycle I’d always wanted to avoid. My son’s hand me down DS broke over Thanksgiving. His uncle sent him a hand me down Of what .i thought was the latest middle for first communion. Today, I took the kids to the park to fly a kite we bought at a dollar store. We were having a good, old fashioned, inexpensive, fun time, but while I assembled the kite, I heard him talking about how he wants to save up for the latest model, which apparently is literally the “new 3DSXL.” Within what I thought was reasonable for his fragile psyche, I lost it a bit and got a bit preachy. We had a moment, hugged it out, but when I tried to talk about living in the moment, he said how at school they always talked about preparing for the future and planning for emergencies. In his mind, having a second DS in case one breaks qualified as an emergency. I’d been enjoying those 6 months when he carried around a box of Legos. But how do you teach your child to be humble, to have poverty of spirit, to put others first, etc., when schools, and ironically Catholic schools especially, teach pride, ambition, and competitiveness? The Jesuits have always been controversial for their accommodation of local cultures, and for their frequent interference in politics, but I do not understand how an Order which rarely produces bishops or cardinals and has taken 500 years to produce a Pope because it teaches against pursuing advancement has contributed so much to the competitive approach to education we find in modernity. When a dress code is not just about teaching modesty and obedience but wearing a “blue blazer with brass buttons,” is that teaching children to follow the examples of John the Baptist, Martin of Tours, Francis of Assisi, Ignatius of Loyola, or Pier Giorgio? Even the Monarchs who’ve been canonized generally dressed below their stations. When a school advertises its “high academic standards,” makes students compete for titles like “valedictorian” even to the point of destroying friendships, gives awards for “perfect attendance,” etc., his is that teaching children to live the Beatitudes? Help that homeless person you pass on the way to school, get a few minutes late, lose perfect attendance and lost the edge on being “#1.” Besides, helping the homeless is dangerous, might be illegal, and you need to direct them to proper charities. Is that a message that teaches kids to be Saints.. I know I could do a lot better as a parent, but I also know that what Ai consider better is the opposite of the World. a) Eliot left strict instructions on how many lines of his poetry could be anthologized. This requires breaking up his longer poems, and “Preludes” is one of the only ones that fits. b) Those who want to present a biased and inaccurate view of Eliot’s work, as the author of this essay does, want to favor the “Prufrock” era and reject his later, more overtly religious poems. 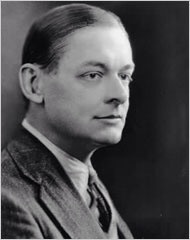 d) Eliot’s early poems fell into public domain many years ago, but, due to changes in copyright law, nothing published after 1922 will fall into public domain until 2020. 3) Eliot himself, upon reading this, would have likely been enraged, and said something like the above. He was so annoyed at critics asking the “True meaning of The Waste-Land” that he published the “Notes on ‘The Waste Land'” years later, *then* many years after that said the notes were a prank (cf. Kirk, Eliot and His Age). He repeatedly emphasized that poets write poetry for a reason, and if he’d wanted to explain what he was “really saying,” he would have. 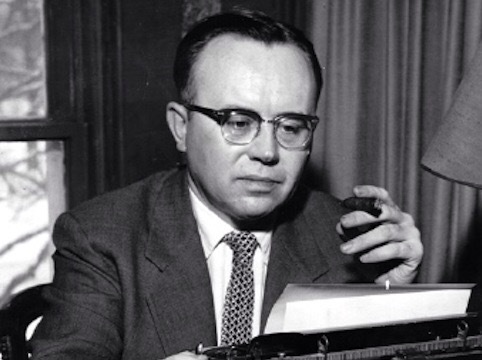 Nonetheless, there was one critic he said understood him, and that was Russell Kirk. Indeed, if you read *one* book about Eliot, both in terms of literary biography and analysis, read Kirk’s Eliot and His Age. The writer who inspired this post is right that the world of Prufrock and Other Observations is hellish, but Eliot is not saying that this is all there is. According to Kirk, the “Prufrock” and “Waste Land” era are a kind of Inferno to which “Ash Wednesday and “Journey of the Magi” are the Purgatorio and Four Quartets, the Paradisio. Yes, much like Dante, people seem to find the Hell more interesting than the Heaven, but Eliot never believed the atheistic nihilism you’re reading into this. During the period of his rejecting his family’s Unitarianism (for not being theological enough), and adoption of Anglicanism, Eliot experimented with Buddhism and other Eastern spiritualities. He was always a Theist. The hopelessness of this poem–which I personally see is actually a hopefullness in recognizing Christ even in the city street–is not Eliot’s own but the hopelessness he sees in those around him. In our pluralistic society, the notion of choosing a business or professional based upon faith is considered discriminatory. We hear a lot about businesses refusing to provide particular services based upon moral principles, but not about customers, unless it suits the Left’s agenda. “I will “I will gladly be your doctor but I will not prescribe contraceptives” becomes “He refused to give me health care!” On the other hand, a doctor pressuring a woman to *use* birth control is perfectly fine, and if she refuses to go to that doctor, she’s the one who’s considered extremist. So that brings me to why, even if we’re not talking about moral issues, I find it’s important to generally choose, when possible, doctors who are people of faith. That doesn’t necessarily mean that they’re Catholics, or even Christians, but they have to believe in some sort of “higher power.” I believe it’s a saying, but I’ve often found that doctors who don’t believe in God think they are God. If a doctor thinks that religion is stupid and irrational, what does he think about patients who are believers? If he doesn’t trust your discernment about spiritual and moral matters, will he trust your discernment about your own health and healthcare decisions? If she doesn’t believe in God, when difficult moral issues do arise (e.g. end of life issues), will she be more willing to take the easy way out? I’ve encountered many doctors over the years who have mocked me for praying, flat-out side, “There are no such things as miracles,” etc. A year after my 1996 aortic root replacement, some of the tissue around the stitches of my artificial valve started to leak. During my echo, the tech got really quiet. He got up and got the cardiologist, who redid the echo himself, very slowly. You know something was seriously wrong. He came in afterwards and gave us the report. He ordered me to bed rest for a year. A year later, they were worse. A year after that, I expected them to be even worse. This time, he came in with his jaw metaphorically on the floor, saying, “They healed! !” Ever since then, every doctor I’ve told that story to has had one of two reactions: 1. “Wow, a miracle!” or 2. “That doesn’t happen. He’s probably an idiot and misread the echoes.” Yeah, that’s why he did it personally, slowly, right away, to double-check the technician’s initial finding. For a few years in Northern Virginia, I went to one of the highest-rated cardiologists in that region, and he said that prayer and “faith,” generically, is a huge part of his practice, that he finds patients who pray and meditate perform far better than those who don’t. A rich man dies and leaves his very young children his entire fortune, his company, and a gigantic castle, more room in one building than they or their future families could ever need–holdings around the world that they will probably never travel to. Do they claim that as evidence their father never loved them or never existed? Does a man who gives his children a small home love them more? then why does the size of the universe or location of the earth matter, one way or the other, as to God’s existence and love?